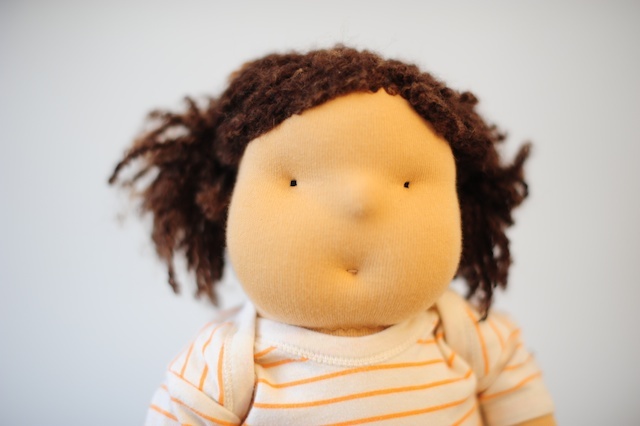 Creating a Waldorf-inspired doll is something that I have wanted to do for a long time, most certainly this entire year. 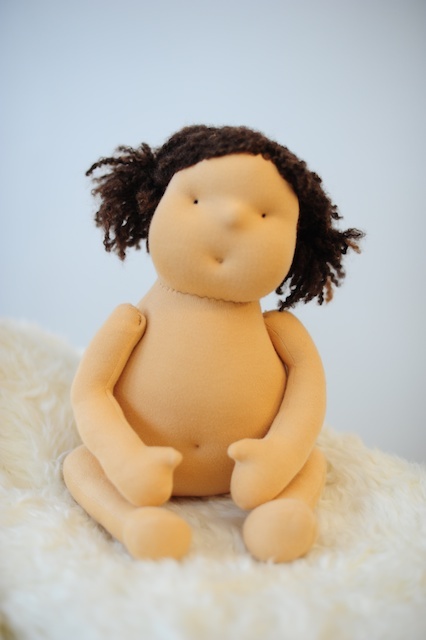 But I knew that this was the kind of project that required time – to source materials (almost nothing I needed to make this doll was available to me locally, how sad! ), to learn several new skills, and to be able to focus for a few days. And so I promised myself that I could work on this over Christmas holidays, but I couldn’t wait. 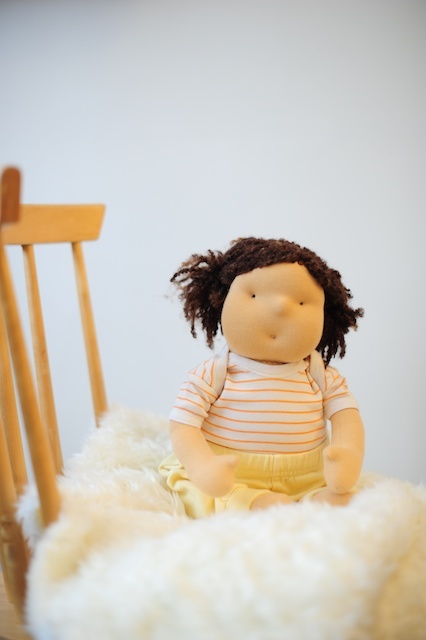 There are certain things that I love about these dolls, especially that they are made with natural materials like cotton and wool. The materials are wonderful to work with, and the process of forming the head and body is one that can maybe be best described as ‘slow craft.’ Admittedly this one took a long time because I was making up the pattern (I am very interested in the proportions of dolls, and wanted to get what I thought was the right look), learning how to make jointed limbs, learning more about face sculpting, and learning how to make hair. So that by the time I was done, I was feeling quite attached ~ but if I had given in to this feeling every time I’ve experienced it, I would have a room full of dolls. Um, no. 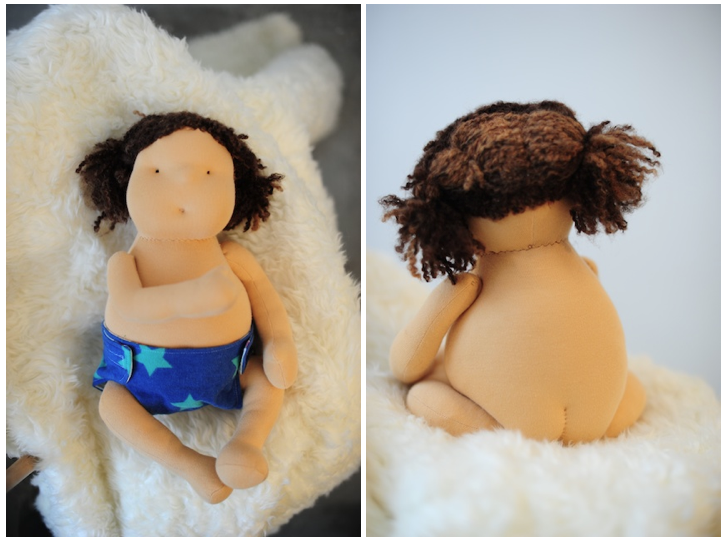 I made this one as a Christmas gift to my son’s Montessori school, and because I thought it might be used as a kind of teaching doll I wanted to make it a ‘real baby’ size, with a diaper and clothes. There are still most definitely skills I need to work on and ways to improve, as always, but I loved this process. 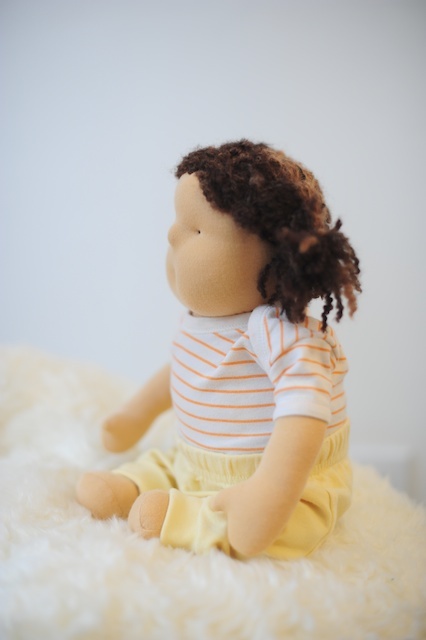 I was always a little curious about the kind of obsession and prices that surround modern day Waldorf dolls, but I get it now. The hours spent are many and in the end you can totally feel it. 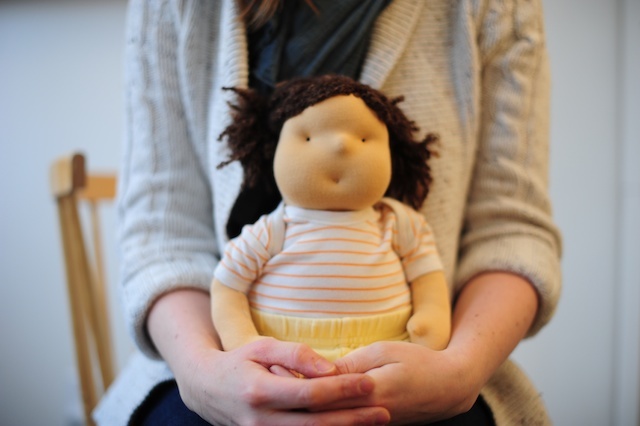 Man, dolls totally pull at my heart, and I am part of that crazy club. Count me in.